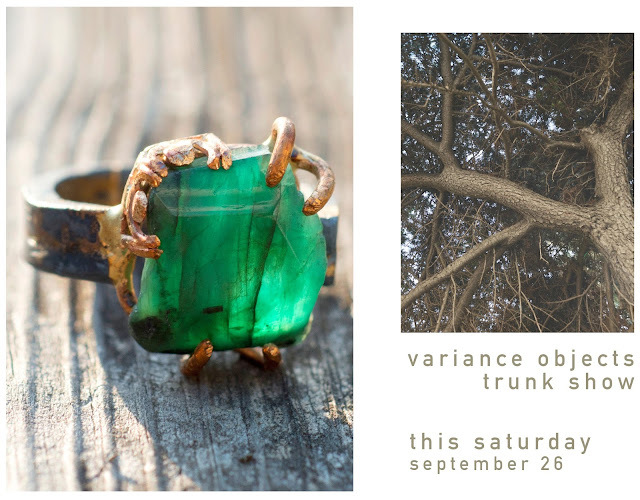 Join us this Saturday, September 26 from 12-6pm for a trunk show with Variance Objects. 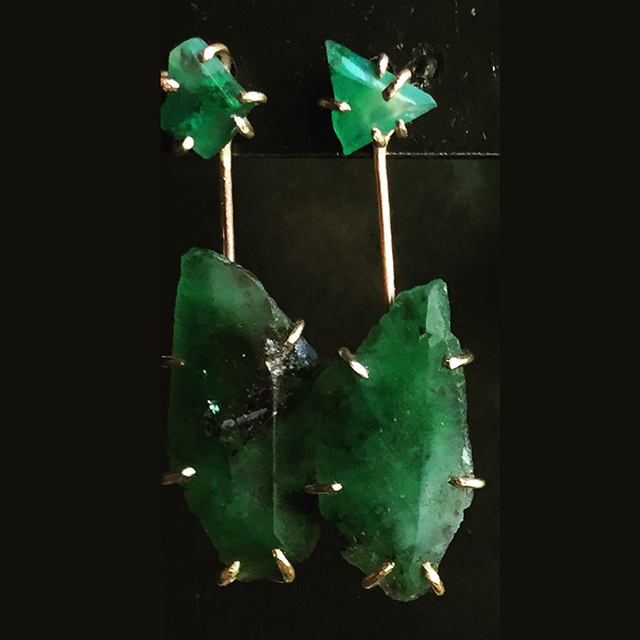 Meet the designer, Nicole Rimedio, and explore the latest of her hand-cut and finely crafted jewelry pieces. 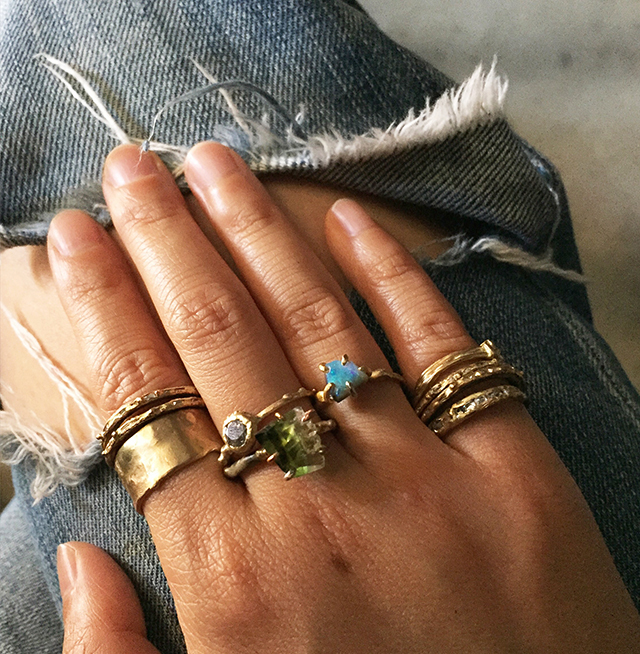 A small selection of loose stones will also be available at the show for clients to work together with Nicole to create custom rings. 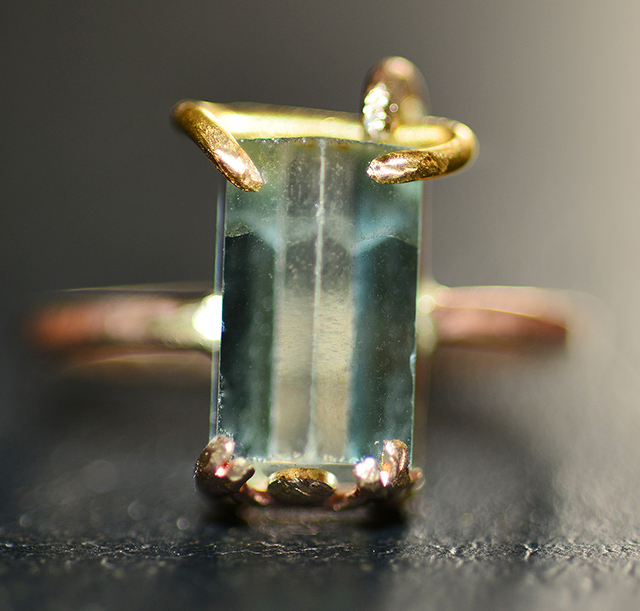 A 15% discount will be offered in-store at the event. We hope to see you there! 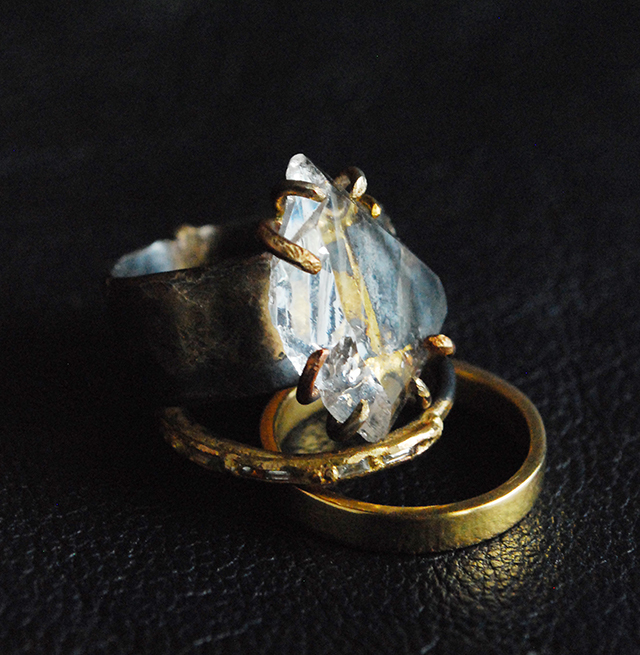 to a place of rough elegance. To read more about Variance Objects see our Q&A interview with Nicole in our next blogpost below.